A journey through inception, design and technology. We use digital tools on a daily basis. We need to be fast and we need to be good. This post shows the thoughts and the development that went into Nuimo Control, including user experience, product design, hardware and software. This post shows the thoughts and the development that went into Nuimo Control. It includes user experience, product design, hardware and software and can be relevant to any technical and creative person. Also see Garry Tan’s blog post on why Nuimo is important for designers and creatives. 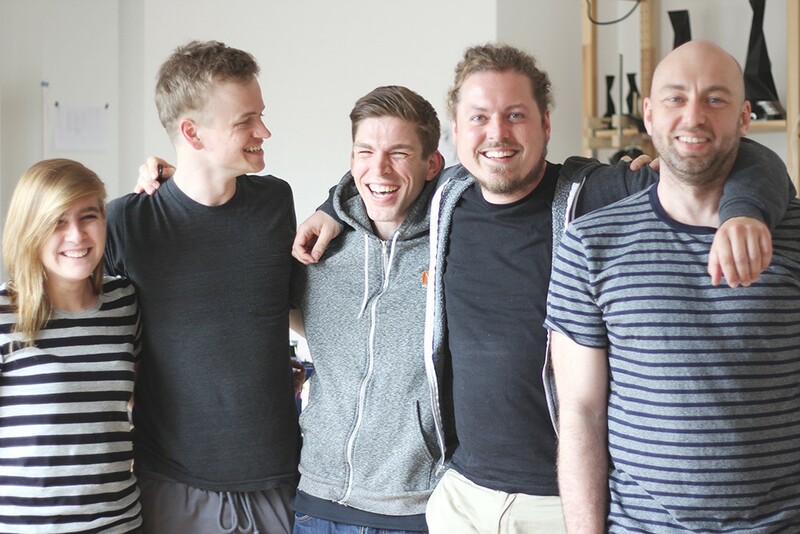 Our team consists of electrical engineers, software engineers, industrial designers and UX/UI designers. We use digital tools like Photoshop, Illustrator, Premiere, Rhino and Eagle on a daily basis. We need to be fast and we need to be good. We count on our tools to access our favorite actions in a fast and precise way. We want them to help our flow, not disrupt it. Kind of like a musician focusing on the music rather than the instrument. That’s not what our work feels like right now. 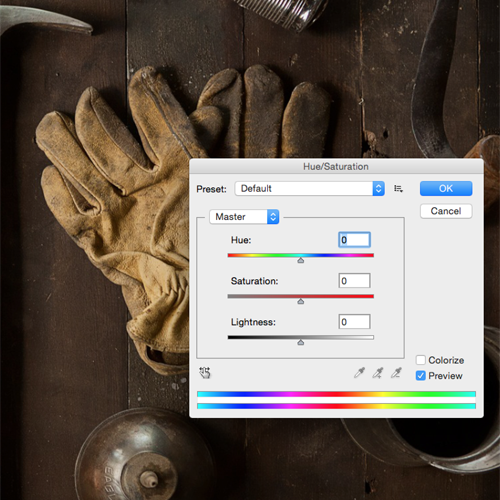 Hue, one of the hundreds of repetitive micro adjustments in Photoshop, hides behind multiple shortcuts with a 2 inch long slider and a tiny text box. This process is extremely repetitive and imprecise, feeling more like sorting through an index card system rather than focus on the job at hand. Overall, a time consuming and frustrating experience. I’m sure a lot of you can relate to this when you’re cutting at the right frame position in video editing, choosing the right angles in 3D-modeling or adjusting the wire thickness in laying out PCBs. This ultimately affects productivity and quality. It adds to frustration and reduces joy and fun. Do our tools need to be that way? The frustrations piled up. Looking through this stack, we realized that they arose out of a poorly designed user experience. In order to correct these frustrations, we worked out a manifesto including 11 requirements we needed from our solution. It has to have analog controls for functions like sliders as well as digital controls to choose between different actions or shortcuts. It has to use the full abilities and senses of the human hand. It has to work with the tools we use. It has to be portable. It has to be beautiful and cool. It has to be non-intrusive and not annoy us when we’re with friends. It has to be made from quality materials. It has to feel so good, you would want to use it all the time. It has to be manufactured locally. It has to last long. It has to feel natural. We needed a programmable, haptic and dedicated device that gives us the same precision, speed and feeling as using our hand. We looked at everyday things like door knobs or light switches to professional gear like DJ sets or car interiors. We loved the simplicity of knobs and light switches. They are unambiguous and combine multiple senses (like sight, sound and haptics) which reduces your cognitive load and allow you to focus on other things. We also looked at modern input devices. We loved to play around with them and there were things we really liked about them but others that did not meet our requirements. Some devices were very limited in their functionality while others were an overkill for what we needed. Hardware is hard. This is where design meets engineering. At this point, we had to translate our design requirements into technical specifications. It is a complex equation of precision, cost, dimensions, ease of implementation, energy efficiency and availability of component. All these components have to be carefully assessed, planned and implemented. At the time of shipping, your product simply needs to work; no bug fixing afterwards. Here are some of the sensors that we used in our prototypes. 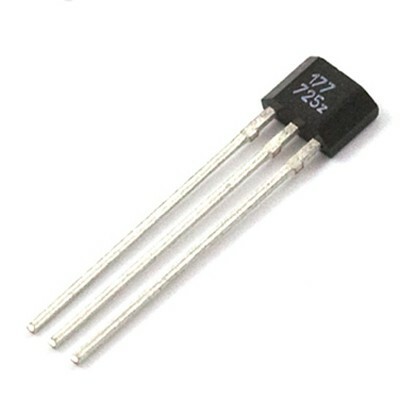 A potentiometer acts as an adjustable voltage divider by changing the resistance through rotation. 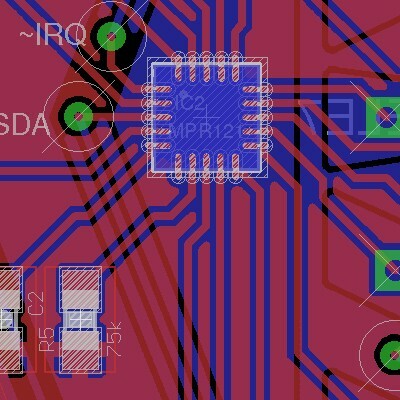 Depending on the ADC, it has great resolution, is quite cheap and very easy to implement. The downside is that it is becomes more fragile over time since it requires a direct mechanical connection. An incremental hollow shaft encoder works by overlapping pulse trains occurring at a frequency proportional to the rotation. Speed and direction of rotation is determined by the phase shift. Implementation of shaft encoders is quite easy but depending on resolution, they can be quite expensive. Hall effect sensors measure the force of the magnetic field by its influence on charged particles in particular electrons. 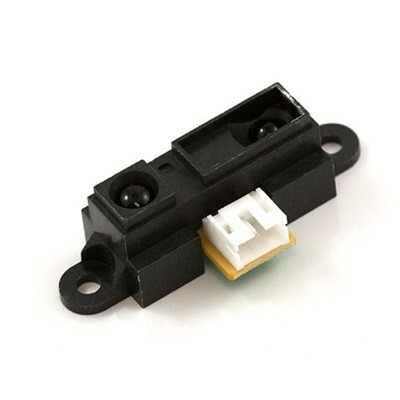 These sensors are standard components and thus fairly cheap with great availability. Unfortunately, during application, hall effect sensors did not show the required accuracy of measurement. Laser sensors are already used in high precision computer mice where changes in position are measured by sensing the scattered laser light which is reflected by an object. 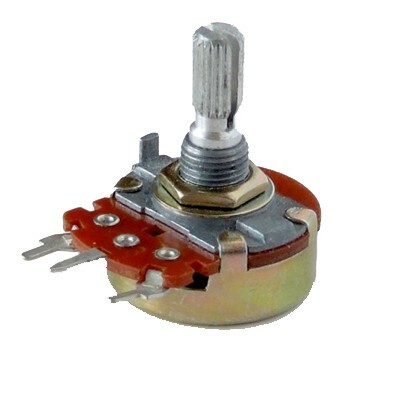 These sensors are very precise and minimize the mechanical problems in comparison to a potentiometer and shaft encoder since no mechanical connection to the moving object is needed. All above described sensors for angular positioning sensing are standard components and are therefore quite easy to source and implement. This does not apply for capacitive touch sensing. While larger companies need batch sizes above 10,000 to design custom circular touch surfaces, we decided to build our own multitouch surface implemented on the top layer of the PCB; at least for lower batch sizes. This gives us the freedom to add sensitivity to the areas needed, react to changes in layout more quickly and to keep fixed costs for manufacturing low. 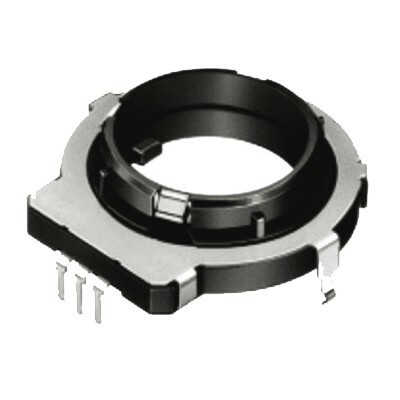 By following design guidelines for the sensitive electrodes, one can implement keyboards, sliders and rotary wheels. Available ICs on the market like the Freescale MPR121 already handle all capacitive touch events which makes integration fairly easy. 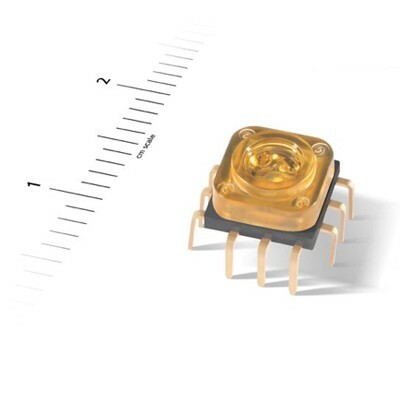 Infrared technology is a standard approach for proximity measurement and gesture recognition. IR light is emitted by an LED while a photo diode measures the intensity of reflected light of an object. By using multiple LEDs, the distance of objects can be measured as well as their movement parallel to the sensor plane. This opens the door to simple gesture recognition for movements like waving up or left. Furthermore, IR technology has the advantage of being quite energy efficient as well as working in complete darkness. One of the main limitations of hardware is its immutability. Once PCB and casing are designed and manufactured, the system is fixed. An update is impossible. For that reason, it is very important to choose the right components, manufacturers and design with care. Prototyping and testing have an extreme significance. Fortunately, rapid prototyping platforms like Arduino shorten development time through the integration of sensors and their firmware into a proven microcontroller environment. The choice of wireless technology was a critical one. There were a number of factors we had to consider before making the decision. It had to be fast. It had to be universal. It had to be energy efficient. After trying out several options such as ZigBee, Z-wave, Wi-Fi, Classic Bluetooth, we settled on Bluetooth Low Energy (BLE), also known as Bluetooth Smart. 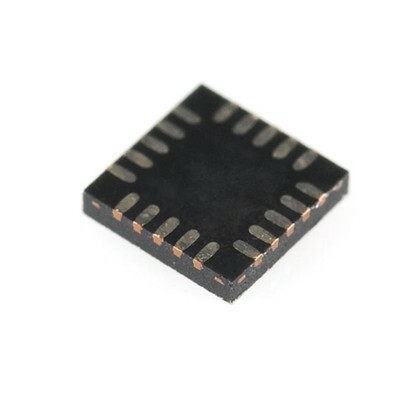 Designed for Sensor Data Communication: In this great post the author compares the two using simple analogies and real life examples. BLE’s Central-Peripherial roles and Generic Attribute Profile allows optimal and efficient communication. One might argue that BLE did to Bluetooth Classic what REST did to HTTP. BLE defeated: Bluetooth Classic, Wifi. Developer Friendly: The widespread acceptance is not only limited to users but also it’s a popular technology in the developer community too. It’s evident that BLE is designed for non-frequent communication of sensor data. Being a universal and developer friendly technology, it just suited Nuimo Control which is a careful assembly of sensor technologies. 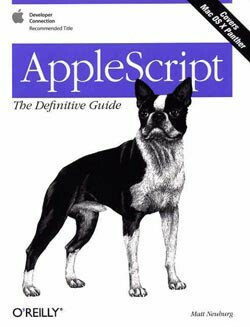 To learn exactly how you can write and share AppleScripts for Nuimo Control, check out this post. Please, Please Write about Me.